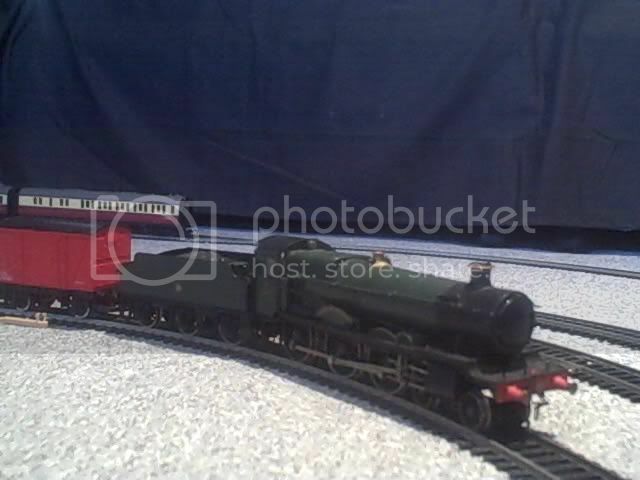 Does anybody here have a train set? I have one in the attic. It is based in the modern day around the south downs and south coast. 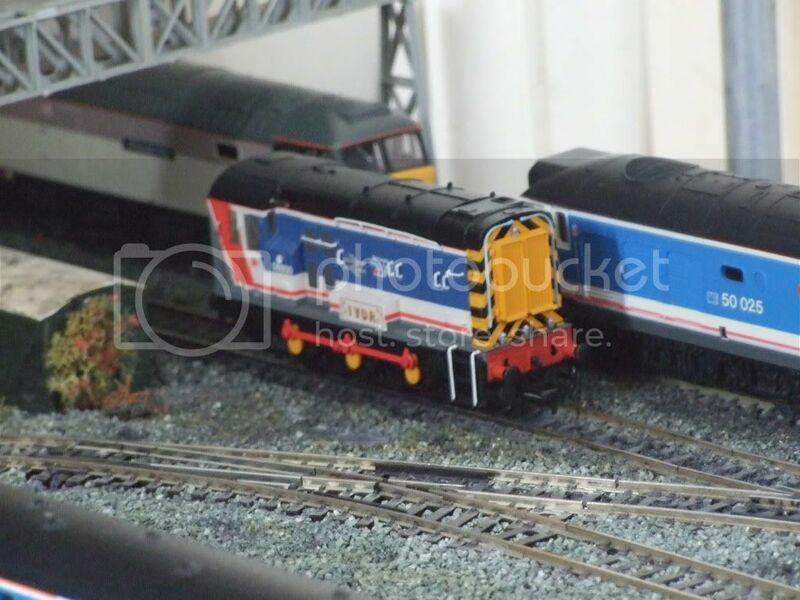 It looks a slight disaster, but I find it difficult seeing as trains sets are very expensive, and I dont find much time to get in the attic. 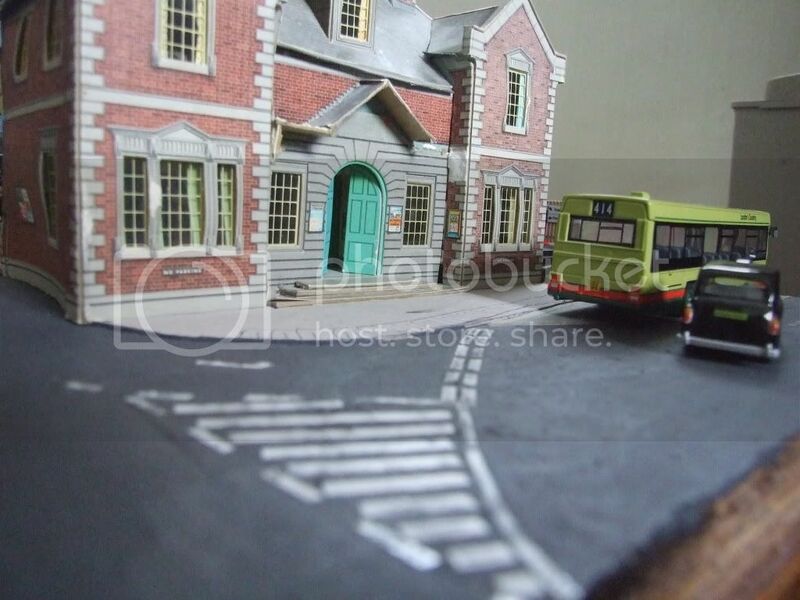 It is becoming more of a 'bus set', seeing as i am slightly more interested in buses. 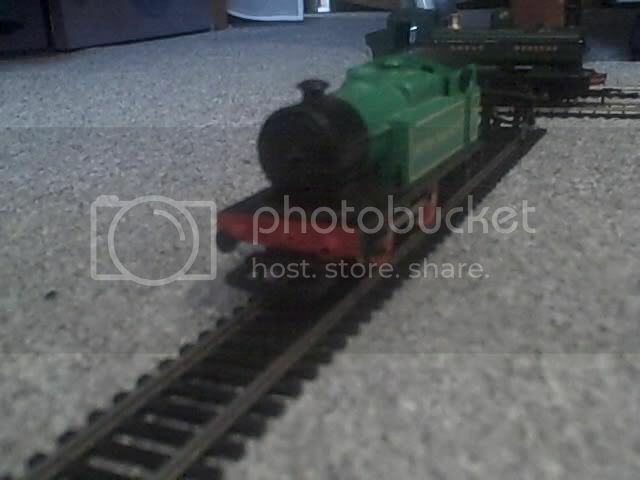 A black BR Pannier tank engine, a Green GWR pannier tank engine, a green BR 14xx tank engine, Smoke Joe and a light green 0-4-0 with "British Railways" on each side of it's tanks. My layout is a bit confusing to anyone I explain it to. 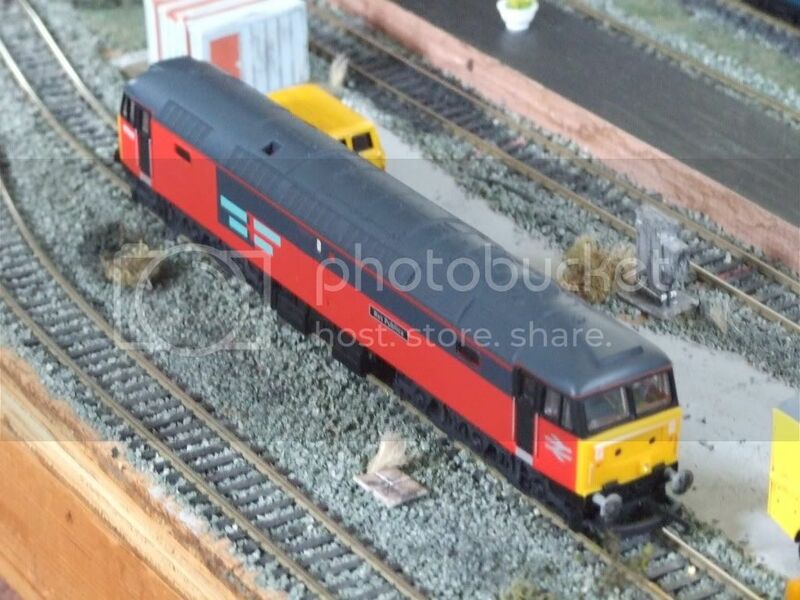 I have a terminus station set in the 1980s/90s NSE, with some sidings and a fueling point. 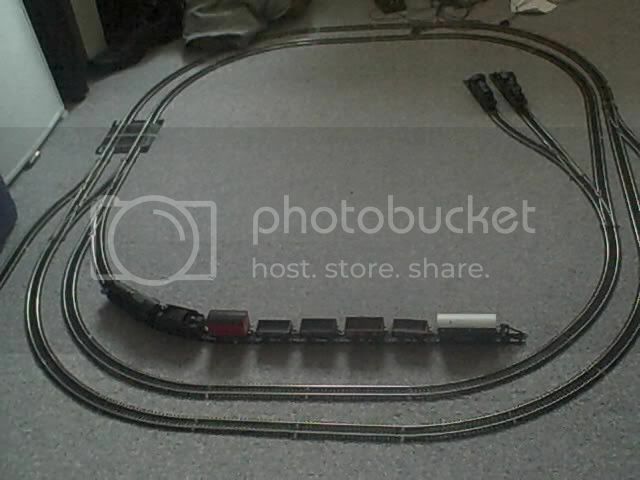 Then it has a section for indoor use that has two tracks converging into one then into a fiddle yard. 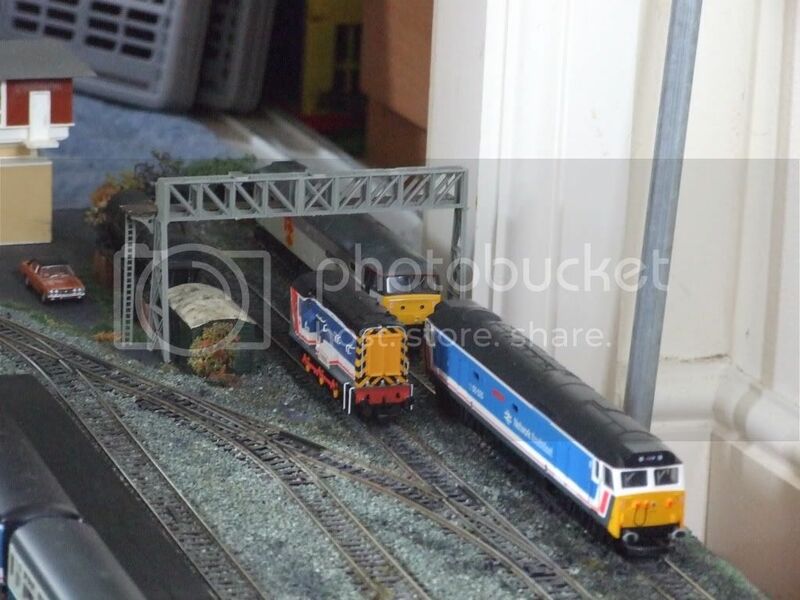 But when my station is taken outside, its two tracks connect onto a mainline and continues round my garden, with an outside station and into a shed, where the majority of working is taking place ATM. Sadly, this year and last, the railway has seen little uses, due to last years appalling summer and this years time priorities have changed. 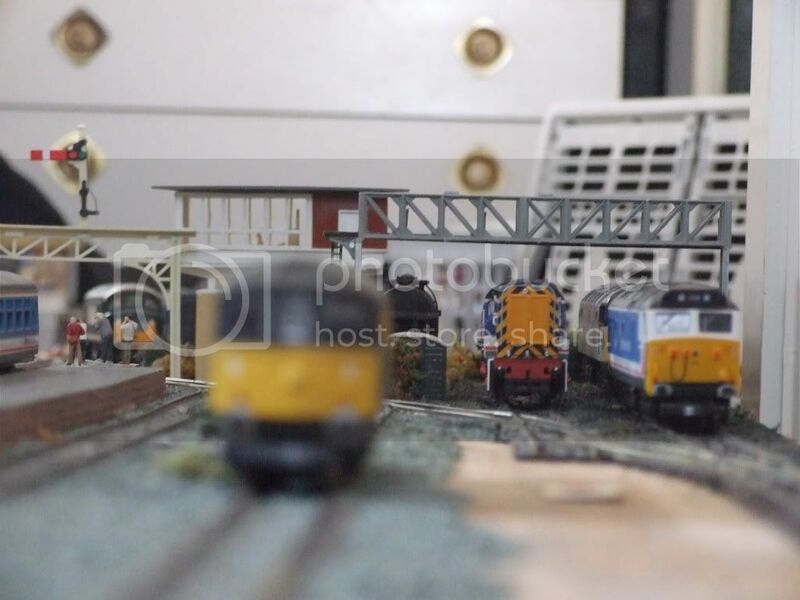 So it has been a while since a train has traversed my railway, however my layout terminus station sometimes sees use inside. 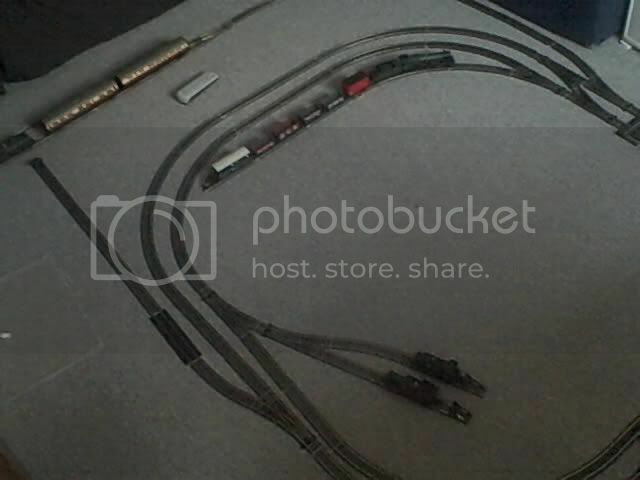 The layout is in its early stages, with no wiring yet. 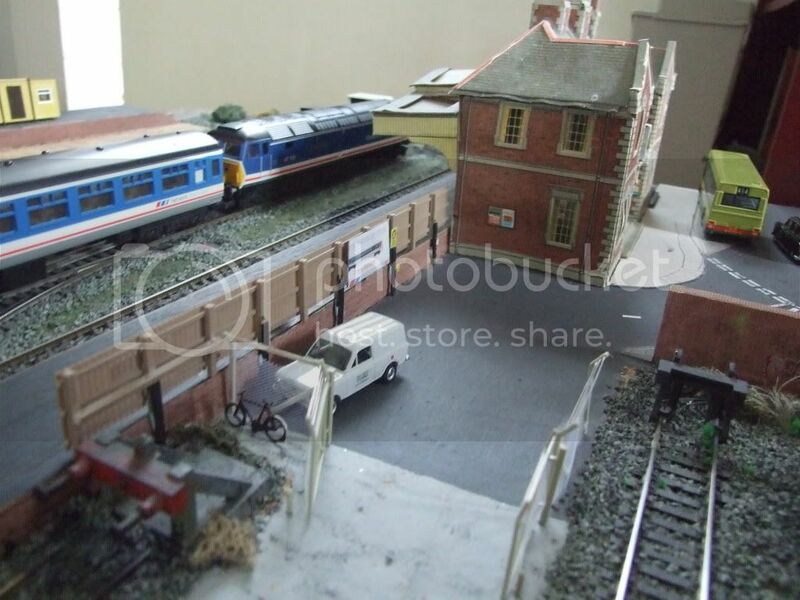 :S The station building is a cheap one I got from a now closed model shop, its a bit rough, so Ive got a new kit to replace it. How big is your layout? Please DO NOT quoes posts that are as large as the above!! It's bloody annoying having to scroll through a huge quote to find just a couple of words as a reply!! d*mn that is one fine layout!!! Wish i had the time, money and patience to do that!! 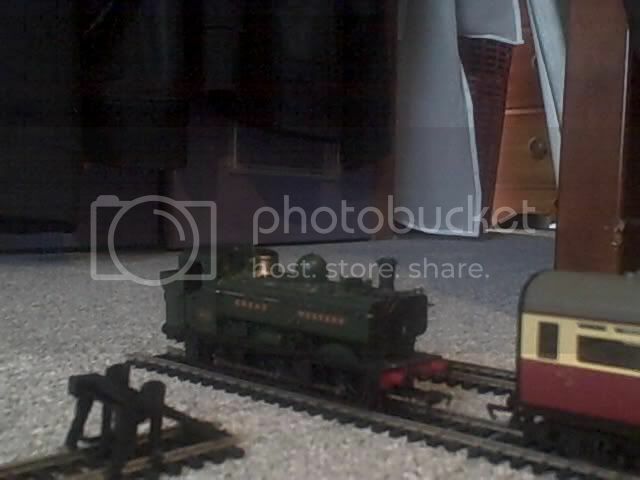 I do have a couple of sets though, one is a Regional Railways Class 170, i think from the Leeds Area. 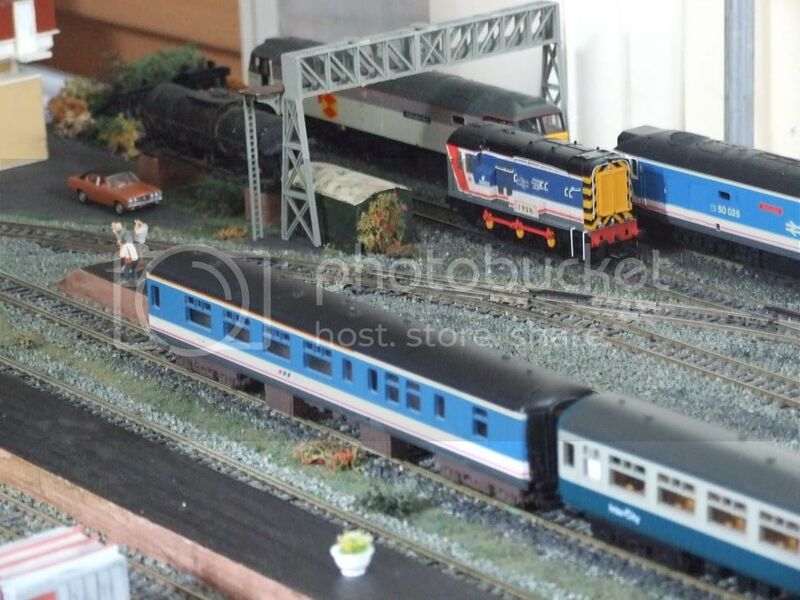 The other is a Virgin Intercity 125 set. I'm going to wait until I get my own place so that I can build a baseboard. Sorry about all the pics mate! lol Erm, the terminus staion is about 2ft by 6ft, it goes under bed and rolls on spinney chair wheels. Its taen me ages to do this far. I have a website for my layout, but I warn you that there is a VERY old pic of me and the website was made by me 'best friend' at the time, he is not any more, he went to a different secondary school and turned goth. They are presier, you can get them from Modelzone, they are actually foreign. You can get all sorts of funny ones, like people at it, a flasher with her top up, nudists, mermaids and other funny ones. You can also get the more normal ones like passengers standing, sitting, running and camera crew, train/station staff, policemen(which look british), marching bands, soldiers, animals and other street people. 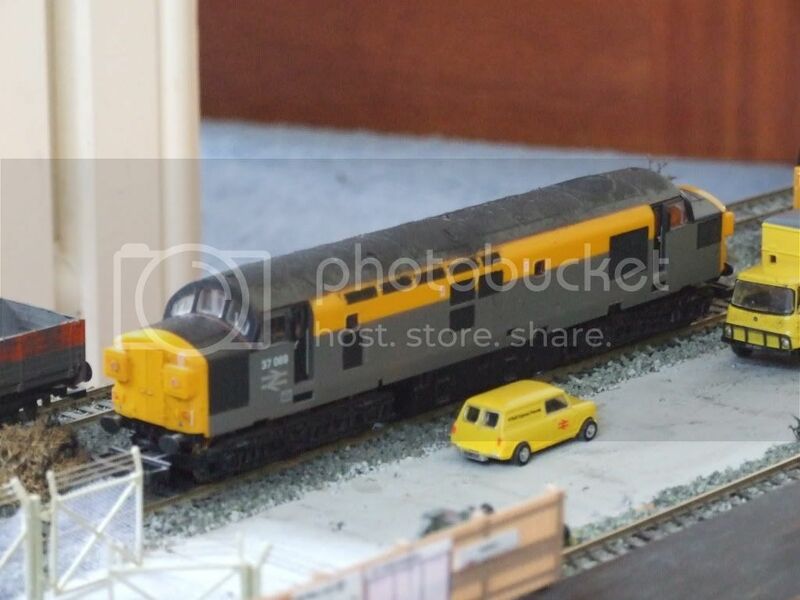 If you are interested in Model Railways, Id reccomend going to Model Rail exhibitions, which there are lots in the October- May time. 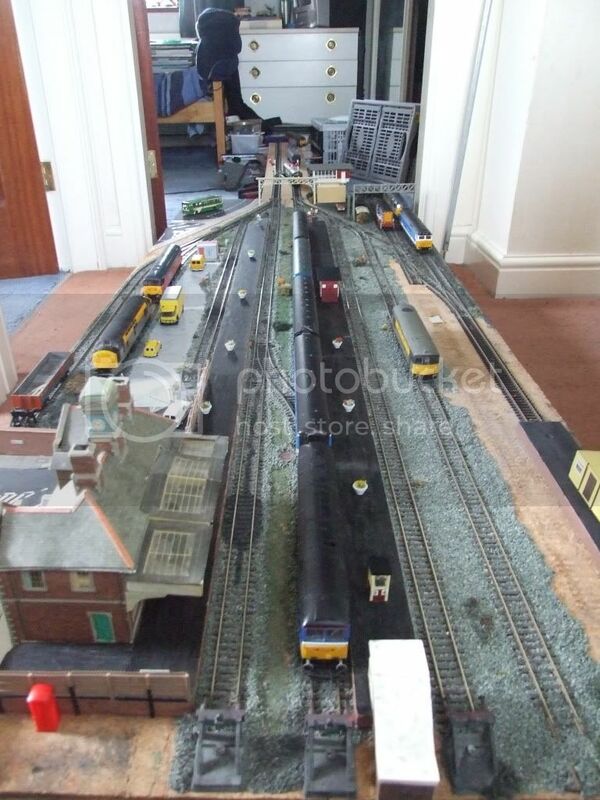 I don't know if this is the right place but the pictures below is my layout as I have said before it's not on a baseboard because there is not enough room for and my Mum won't allow me to have one but when I get my own place I plan to get one. 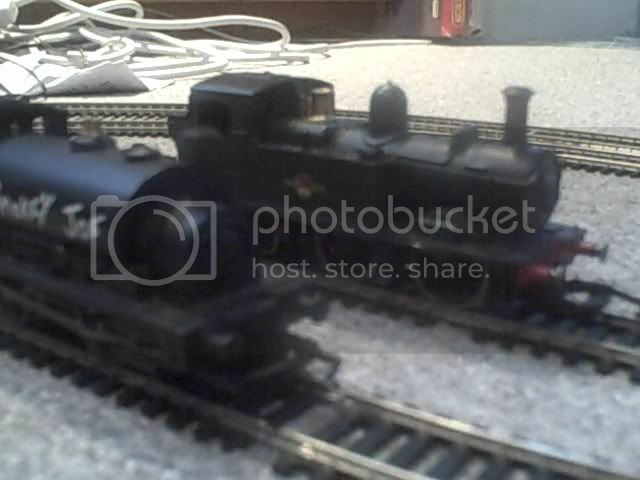 Right now my layout is pretty bare so I am planning to get platforms for a station, getting a engine shed and goods shed. 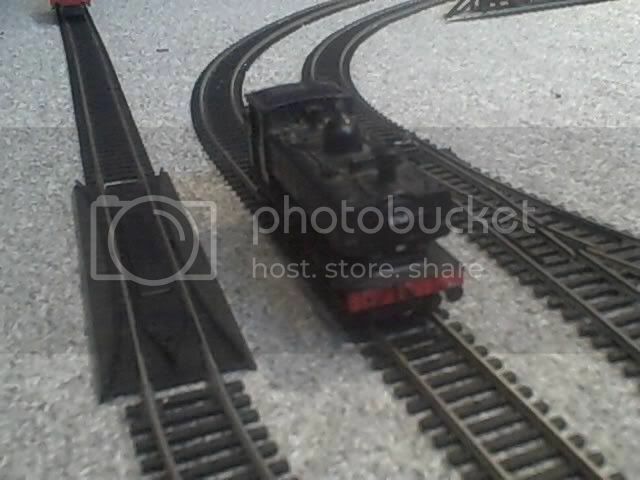 Some nice locos you have there, route92!